There are few combinations as perfect in this world as chocolate and peanut butter, and there are very few manifestations of such as perfect as in the Butterfinger. 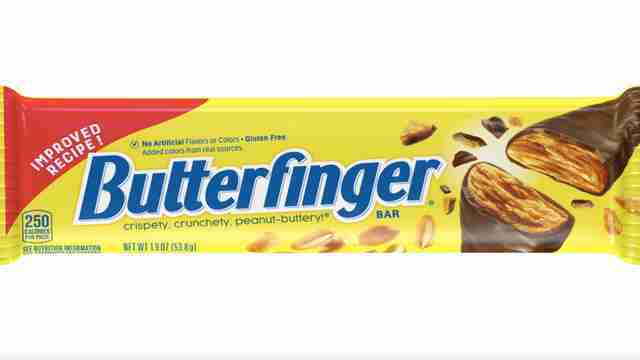 However, fans of the iconic candy bar should prepare for some big changes, because the brand just announced that its tweaking its classic recipe and look. The crunchy check-out aisle staple, which has been around since 1923, just announced that it's changing its classic recipe for the first time in more than a decade. Though longtime fans need not worry, they're not making any drastic changes, but rather just hoping to improve quality. Specifically, the new bars will boast a higher quality chocolate coating with more milk and cocoa for a richer and creamier taste, according to a press release. Also, they'll feature "carefully selected" peanuts grown in the US and ditch hydrogenated oils and tertiary butylhydroquinone, an additive used to extend freshness. The new bars will also come in a brand new style of wrapper, which sports a double layer that reportedly helps to improve freshness. You'll have to wait until the new year to try one yourself, though. They'll roll out first in January 2019, and be available nationwide starting in February. Still no word yet on how Bart Simpson feels about all of this. 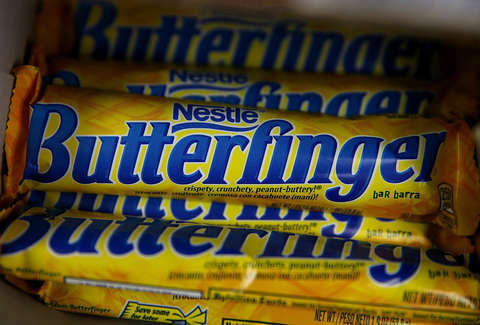 Joe McGauley is a senior writer for Thrillist who has tragically never eaten a Butterfinger. Follow him @jwmcgauley.